For people who are not good with directions and heavily rely on maps, Smartphones with GPS and apps with maps opened a whole new world. 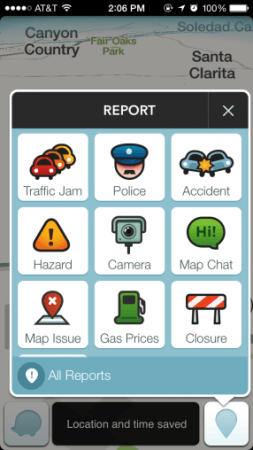 One of the world’s largest community-based traffic and navigation apps, Waze, allows drivers to share real-time traffic and road information. Besides getting the best routes and an easy ride, navigation apps can also offer very lucrative opportunities for location-based mobile advertising. Mobile advertising is evolving and becoming more important. 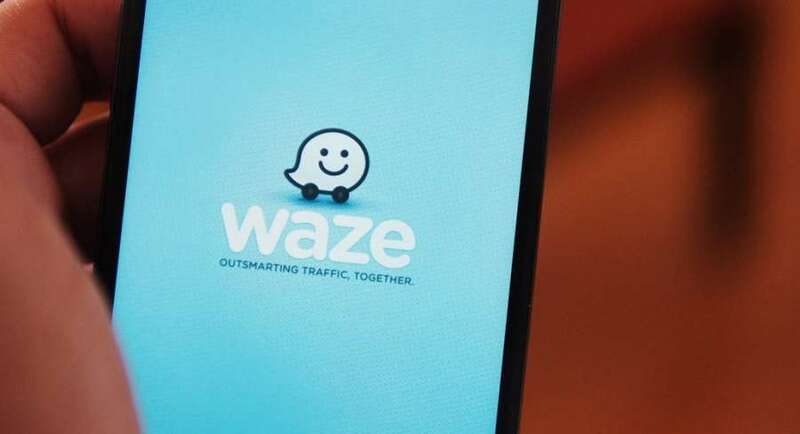 Google acquired Waze in June 2013 for $1.03 billion to help the company strengthen its location-based offerings. Advertisers can choose between two different formats: branded pins and takeover ads. Branded pins show the diver how far the store is located from the current position. Takeover ads pop up when the car isn’t moving for three seconds or more and disappear when the car starts moving again. In this way, the driver is not distracted while driving. 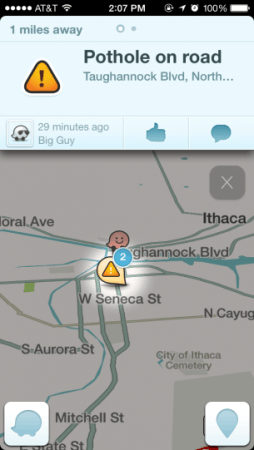 What makes Waze interesting as a marketing platform, is the origin of the app as a utility service that uses live maps to offer consumers precise directions, which makes ads seem less as a distraction since they are surrounded by relevant information. Research showed that ad-recall, navigation rate and the number of people driving to a location clicking on an ad, increased after serving ads. Although results are only positive, location-based mobile marketing has still to face some challenges such as delivering relevant proximity information and privacy issues. Making location-based advertising relevant is still a major confrontation. Native advertising could bring the solution since it not only combines the right message but also the right delivery vehicle. People riding a bike are not served with ads about, for example, flowers, which they have to carry the whole ride or people driving a car are not served to receive ads about bicycle stores and promotions. Privacy issues are said to be a big deal too. All companies’ services should be made opt-in. In this way, advertising could also become loyalty advertising, which results in stronger connections and higher impact. 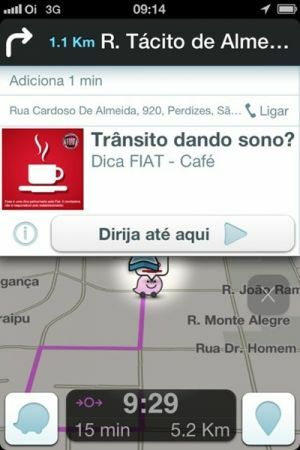 Fiat ran a Waze campaign in Brazil that helped Waze users find nearby relaxation spots to avoid traffic in 2013. The targeted drivers were the ones that were driving near rest stops. When consumers clicked on the branded icon, Fiat encouraged drivers to pull over and take a break from the traffic. Also at Blackninja, we developed a campaign on Waze for ViaSul. We pined their location on the map and in less than one month, there were over 1 million views and a raise in the visits to the store. Another beautiful example of a mobile location-based campaign is “The protection ad” by Nivea. 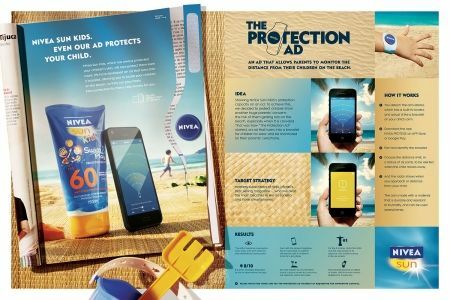 In Brazil, Nivea used a Bluetooth proximity beacon embedded in magazine ads, which parents could pull out the page in the form of a bracelet for their children. A smartphone app could be used to track on beaches. If the child went too far and walked out of a pre-defined zone, parents received an alert and could then bring them back safely. Nivea positioned itself not only as just a brand of creams and sunscreens which are often used in sunny locations like Brazil but also as a brand that cares for its consumers’ children.